What an EXCITING day it is Crystal Lovers! 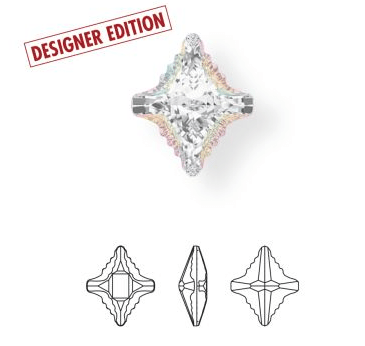 Introducing the brand new styles and colors from Swarovski for your designing delight! 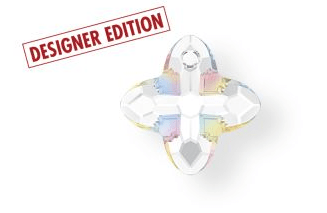 Every year Swarovski dazzles the world by creating brand new crystal innovations to delight beaders, jewelry designers, fashionistas, artists, DIY enthusiasts and admirers alike. 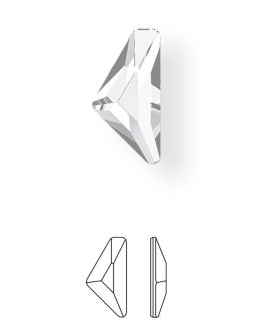 They have always turned to their clients for their primary source of inspiration and because everyone has their own unique way of expressing themselves, this season’s crystal innovations have captured the deep desire for uniqueness. Individualism is a growing mega-trend that is poised to impact the lifestyle of the future. Self-discovery allows us to tap into our true nature without applying limitations, expectations or conformity. Accepting our distinctiveness, allows us to express our individuality in our own beautifully unique way. Self-expression will continue to gain momentum and will add a new measure of value in our society. “Check Yourself,” “Find Yourself,” “Excess Yourself,” and “Dress Yourself”. Everything will be available on the Website to order soon! 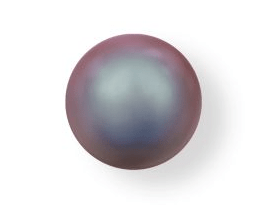 As people’s desire to slow down and reconnect with nature continues, the new Swarovski pearl color called Crystal Iridescent Tahitian Look, reflects the inherent beauty found on Earth. The muted green and blue hues overlaid with a complex iridescent shine, reflects our affinity with the natural environment and our aspiration to take care of our planet sustainably. 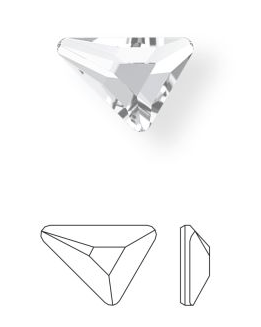 From streamlined shimmer to stunning allover pearlescent surface effects, the new small 2mm Crystal Pearl size extension satisfies the growing consumer desire for more tactile design experiences. Versatile and refined, the new Pearl size transcends design boundaries – perfect for glamorous yet modern styles. From ornate history-inspired directions to cool and casual looks, it makes an ideal companion for our increasingly multilayered lifestyles. Available in full color assortment of 5810 Round Pearl Beads, with more than 50 pearl effects to choose from allowing a wide variety of looks that require delicatesized pearls. •The small sized 2mm Pearl bead is ideal for delicate jewelry pieces and textile embroidery. 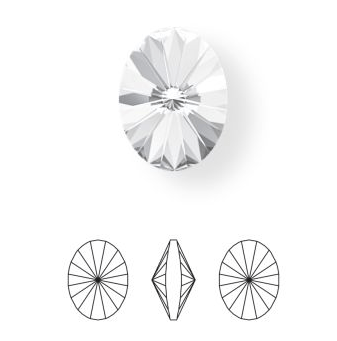 The SHIMMER Effect by Swarovski is a soft and elegant coating inspired by the AB coating, but is a more subtle shine, with less yellow, that radiates multiple shades of a single color. This glamorous effect is not only fashionable, but is among the highest quality coatings for its abrasion resilience & durability to withstand the test of time. More brilliance, color vibrancy, and light refraction accentuate every movement of the crystal, creating breathtaking designs! 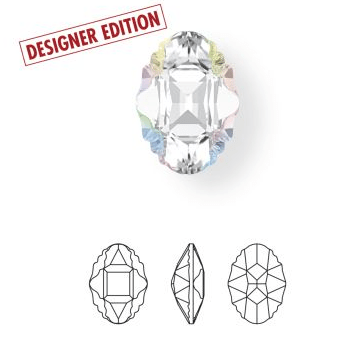 Swarovski’s Shimmer Effect vividly highlights the shade of crystal for colorful, yet sophisticated designs. 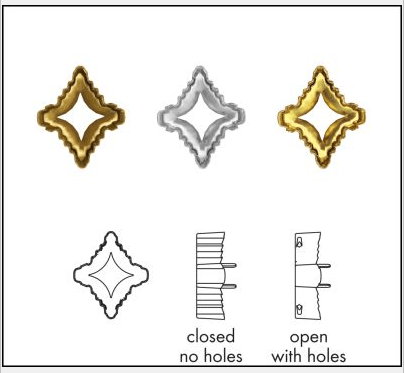 These new Shimmer Effects are now available in the 5328 Xilion Bicone Beads, 6106 Pearshape Pendants, 6228 Heart Pendants, and 3230 Pearshape Sew On Stones. 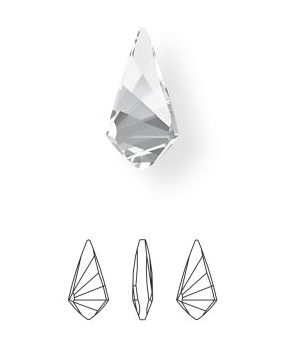 This sleek new Crystal Pear-shape Pendant from Swarovski embraces the ongoing customer demand for designs that express flexibility and ease. 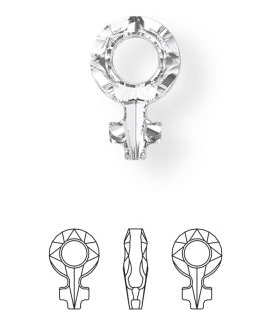 This versatile pendant beautifully combines crystal with cocooning metal, creating a modern look that pays homage to our continuing need for protection. 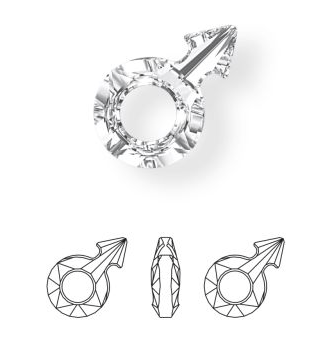 Resourceful and creative, Swarovski’s new Metallic Cap Crystal Pendants offer new jewelry designs that express personalized looks in dramatic, and energetic styles. 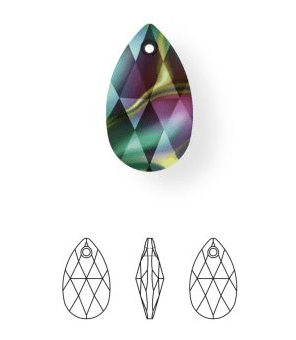 The new Swarovski Metallic Cap Pear-shape Pendants are available in an 18mm & 22mm with the following colors all encased in a Crystal Light Chrome Metal. 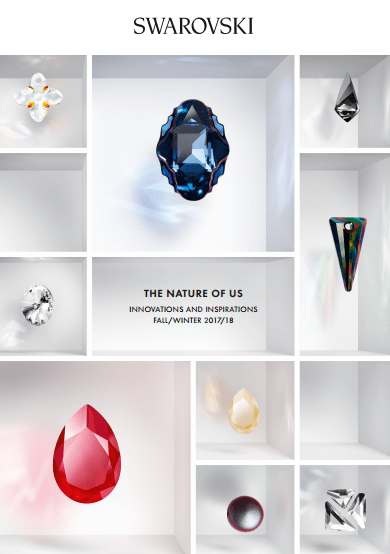 Crystal, Amethyst, Aquamarine, Emerald, Black Diamond, Light Colorado Topaz, Jet, Majestic Blue, and Tanzanite. As we continue to seek to slow down, colors become more grounded to show an ongoing affinity with nature and a focus on the sustainable. The Crystal LacquerPRO DeLite Effects celebrate natural hues and landscapes, highlighting the beauty, intensity and individual aspects of Mother Earth. 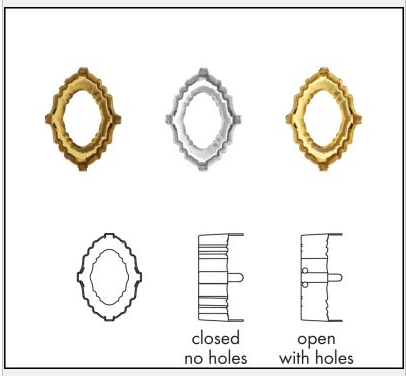 These new DeLight Effects are available for: Crystals Round Stones, Fancy Stones, Flat Backs No Hotfix and Flat Backs Hotfix. 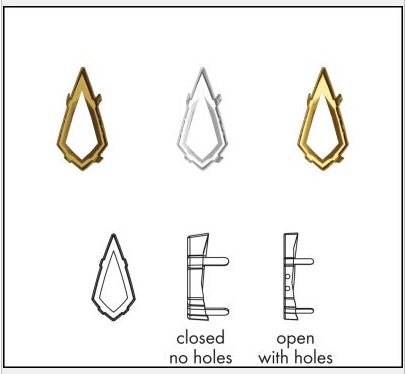 Easy, new application for jewelry and DIY-like randomly set/glued crystals or floating elements. 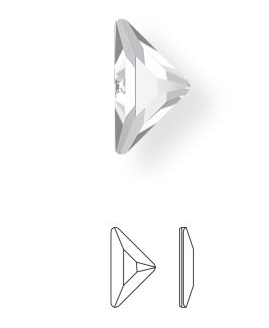 Front and reverse sides look the same, and is ideal for creating tactile and 3D designs thanks to the shape and size of these new Pointed Round Stones. 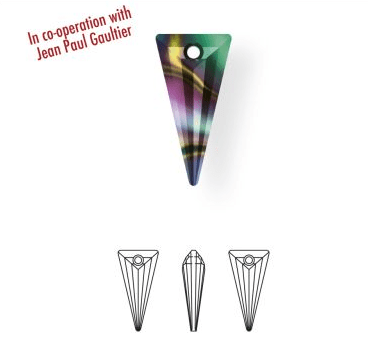 These provide you with a modern way of pavé setting which is perfect for UV gluing and working with Ceralun. As the desire to carve a new identity becomes key for customers, the upending of the traditional is being utilized in designs. A new, individualized format is being honored with “heritage” re-issued to make retro modern. It is this sentiment that is perfectly encapsulated in the beautiful new Imperial Cut. With its stunningly detailed cut and modern format, it offers freshness while still adhering to authenticity. *To ensure the best possible result, test applications on the intended carrier material are strongly recommended. 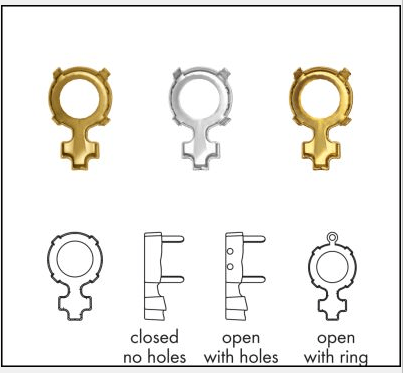 Please always carry out tests for your own needs and specifications on the original materials! If the bonding strength fulfills the customer requirements, can only be decided by customer. *Two ways of Coldfix application: Cold application (room temperature) – Coldfix product is placed on a suitable carrier material and pressed down using a rubber roller. Final adhesive strength is reached after 72 hours. *Application using a heat press (90 °C) – Coldfix product gets applied from the reverse side using a heat press. Final adhesive strength is reached after 12 hours. *It is possible to move or use the final product carefully right after the application, if it is not exposed to any mechanical or chemical stress until the final adhesive strength is achieved. The time until the final adhesive strength is achieved varies depending on the way of application (72 or 12 hours). Please note, that any washing or quality assurance should take place after this period. 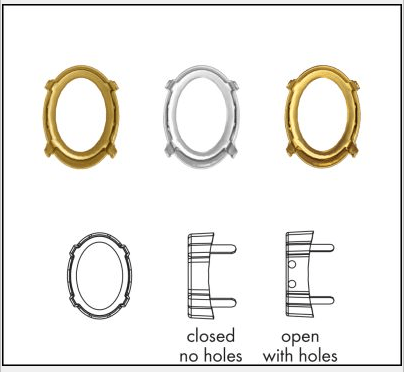 Please note that the achievable peel adhesion and bonding performance highly depends on the characteristics of the used carrier material and it should be taken into consideration that a gluing connection can only be as good as the surface of the base material allows an according bonding. 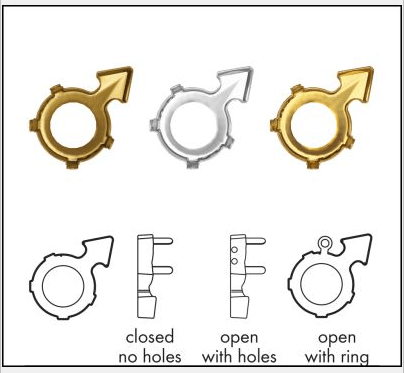 Some materials (e.g. leather) consist of several layers and therefore it is possible that the top layer comes of together with the applied Coldfix product.